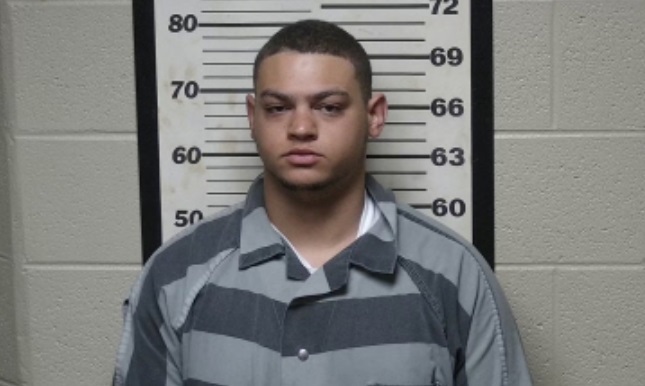 BUENA VISTA – A joint investigation by the Tennessee Bureau of Investigation and the Carroll County Sheriff’s Office has resulted in the arrest of a Huntingdon man in connection to a Friday evening homicide. On Friday, authorities found the body of James Dale Kelly (DOB: 7/19/1999), with an apparent gunshot wound, at a home in the 7000 block of Buena Vista Road. During the course of the investigation, authorities obtained an image of a silver vehicle from surveillance equipment near the scene, which was released to the public on Saturday evening. Tips from the public, along with ongoing investigative efforts by both agencies, led to Corey Leavitt, Jr. (DOB: 6/8/1998) as the individual responsible for the crime. Earlier today, authorities arrested and charged Leavitt with one count of Reckless Homicide, and subsequently booked him into the Carroll County Jail, where, at the time of this release, he was being held without bond.